TransportiCA: Questions for the April Book Club Selection: "Oil: A Beginner's Guide"
Questions for the April Book Club Selection: "Oil: A Beginner's Guide"
For the April 2018 Book Club selection, TransportiCA has chosen Oil: A Beginner's Guide, by world-acclaimed scientist and Distinguished Professor Emeritus, Dr. Vaclav Smil. Given this being the month of "Earth Day," and the federal administration's increasing war on environmental protection and public health, we want to highlight the devastation of a fossil-fuel based energy source, and the need to immediately eliminate its use. 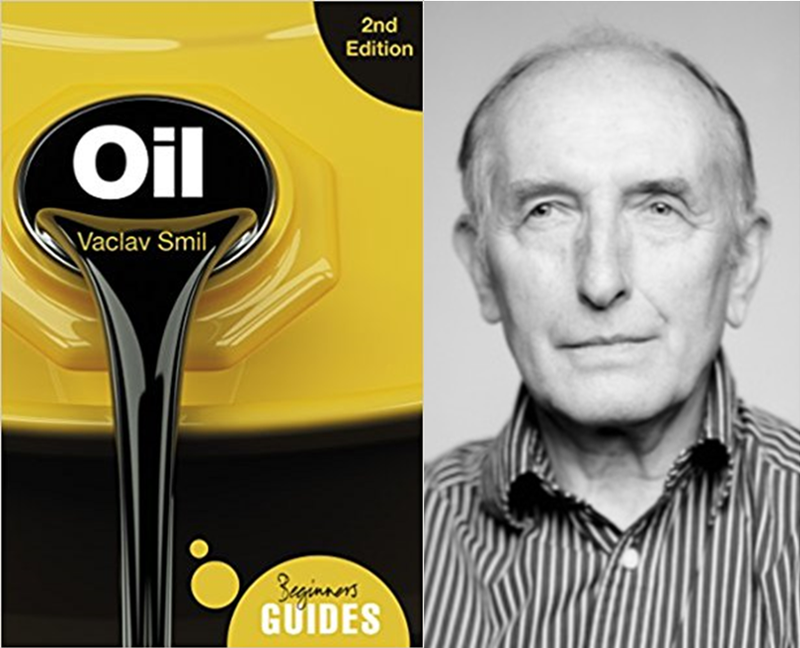 (1) This international business leader has stated, "There is no author whose books I look forward to more than Vaclav Smil." (2) What is the name of Dr. Smil's similarly titled publication? (3) Dr. Smil is the first non-American to receive what prestigious award? No purchase is necessary, as questions are not taken directly from the publication, but from respective technical information and publicity. To send-in your responses, submit via TransportiCA's "Contact Form" on the front-page (bottom left), sending your name, email address and answers. The deadline for submission is 23:59, Monday, 30 April 2018.